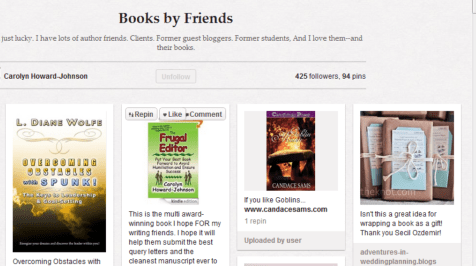 Best of the Web Book Marketing Tips for the Week of April 2, 2012 - Author Marketing Experts, Inc. Enjoy a collection of some of the best book marketing Tweets from the past week, courtesy of bloggers, marketers, authors and others. The topics include maximizing your LinkedIn profile, getting bookstores to carry indie books, promoting an author’s books on Pinterest, improving your ebook sales, and much more. Happy marketing!